Sparkling Water – Good or Bad? Sparkling water is not the healthy alternative many believe it to be. If you opt for sparkling, you could be doing damage to your teeth. Dr Rob Beaglehole, the spokesman for the New Zealand Dental Association, said the carbonation in sparkling water causes it to become acidic, which can cause the erosion of tooth enamel. He has seen sparkling water fans who don’t drink other fizzy drinks come to the dentist with heavily worn teeth. * Ask Dr Libby: Is it OK to drink carbonated water? * Sugar tax debate: how could we tax fizzy drinks? Sparkling water has a pH level of about 5 and anything under 5.5 will start to dissolve your teeth, he said. It’s more bad news for fans of citrus flavoured sparkling waters, as these also contain high levels of acids. The bubbles in sparkling water and other fizzy drinks break down the outer layer of teeth, making them more susceptible to pain and sensitivity. When enamel erodes there is also less defence against decay. 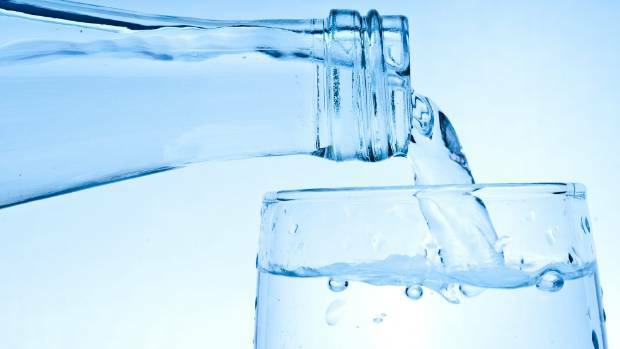 Some district health boards are even banning the sale of sparkling water in their hospitals, including the Nelson-Marlborough and Northland Districts. However, the Dental Association does accept that sparkling water is the “lesser of two evils,” in comparison to other fizzy drinks. “Coca-cola has 16 teaspoons of sugar per 600ml, sparkling water has zero,” Beaglehole said. He said that while it may be “way healthier for you” than Coke or sweetened juices, it isn’t the ideal option. Founder and spokesperson for health advocacy group FIZZ, Dr Gerhard Sundborn, agreed. He said moving from full sugar fizzy drinks to sparkling water is a “step in the right direction,” but that plain water is best. There’s an old dieter’s adage that you should drink a full glass of water before a meal, to reduce your appetite and prevent yourself from eating too much. There are also claims that drinking water during meals is a bad idea, because it may have negative effects on digestion. Medical professionals, on the other hand, keep telling us to chug down all the water we can, no matter what time of day. When it comes to water and meals, what’s true, and what’s a myth? Let’s start with that sage advice from dieters, because it’s actually based firmly in scientific research. Drinking two glasses (around 500ml in total) of water before mealtimes has been proven by numerous studies as a weight loss aid. A 2016 study published in Obesity journal found overweight adults ate 40 less calories per meal after 500ml of H2O “pre-loading”, and other research has shown slightly higher results. In fact, two studies (both from the Journal of Clinical Endocrinology and Metabolism) have found that your metabolic rate and energy expenditure are increased by 30 per cent and 24 per cent (respectively) within 10-60 minutes of drinking 500ml of water. Using the same metrics, another study by the University of Birmingham found the average weight loss over a course of three months was between two and four kilograms. That’s without changing your diet at all, although there’s some suggestion that because high water consumption requires more frequent bathroom breaks, study participants could be walking more, and thus burn more calories that way. The suggestions that drinking water and eating simultaneously during one meal could negatively affect your health are misleading. There’s the myth that drinking water dilutes the digestive enzymes and acid in the stomach, making it more difficult for to process what you’re eating. This claim populates natural health and beauty blogs and spouted by some dieticians. Moreover, there’s also the misguided argument that drinking water while eating speeds up the exit of foods (and their nutrients) through the body, thus disallowing maximum nutritional benefit and enabling poorer digestion. According to the journals Digestive Diseases and Sciences and Clinical Nuclear Medicine, both claims are not scientifically sound. There’s no reliable evidence-based proof to support either argument. The takeaway here is actually a nice little lesson in human biology: your digestive system simply and efficiently adapts its secretions to best suit a food’s consistency, and will digest as appropriate for the conditions it has been given. There’s one exception where this doesn’t necessarily happen, but all it tells us is that there are some people who should take sips of water throughout their mealtimes, not that they shouldn’t. Those that don’t chew their food thoroughly enough often end up swallowing large chunks, which makes digestion harder and leads them to feelings of pain and bloating. Water breaks these chunks up as soon as they go down the throat and into the stomach, meaning water can help digest food. What’s more, water is essential in softening stools and helping them glide through the body. This means you’re less likely to experience constipation. The only scientific evidence that suggests people should not drink water with their food concerns those with gastric reflux (also known as acid reflux). As a study in Surgical Endoscopy journal confirmed, extra liquid in the stomach emulates the feeling of being over-full, and may trigger their reflux symptoms. Such people may feel more comfortable drinking and eating separately. We must note that there is no scientific evidence to say that people who chew adequately and eat at a regular (i.e. not Labrador-like) pace must drink water with meals. There’s no data to confirm that water consumed with food interferes with your digestive enzymes, neither positively or nor negatively. It’s up to you and your personal choice. As such, unless you’re one of the previously-mentioned exceptions, you can drink your required daily dose of water – which still remains at eight glasses/two litres – whenever you want throughout the day. Lee Suckling has a masters degree specialising in personal health reporting. Do you have a health topic you’d like Lee to investigate? Send us an email to [email protected] with Dear Lee in the subject line. In New Zealand, about 16 per cent of adults take medication for high blood pressure – 140/90 millimetres of mercury (mmHg) or more. The researchers found that systolic blood pressure was 2.7 mmHg lower and diastolic blood pressure was 1.5 mmHg lower when participants ate around 60 grams of rolled oats (a packed half-cup raw oats) or 25 grams of oat bran per day. This quantity of oats or oat bran contains around four grams of a type of fibre called beta-glucan. For each extra one gram of total daily fibre, there was an extra 0.11 mmHg reduction in diastolic blood pressure. Recommended minimum daily adult fibre intakes are 30 grams for men and 25 grams for women. While some of fibre’s effect is due to weight loss, soluble fibres produce bioactive products when they’re fermented in the large bowel. These work directly to lower blood pressure. Try a beetroot juice. It’s full of goodness. However, a recent US trial in 68 adults who already had high blood pressure found beetroot juice reduced systolic and diastolic blood pressure. Salt might enhance flavour, but too much can raise blood pressure. A review of studies involving 3230 people showed that reducing salt intakes by 4.4 grams a day could reduce systolic blood pressure by about 4.2 mmHg and diastolic by 2.1 mmHg. One galss of wine is ok. Most liquorice lollies actually contain very little liquorice root. Most liquorice lollies sold currently contains very little true liquorice root and therefore, little glycyrrhizic acid (GZA), the active ingredient. Coffee pushes up the blood pressure. Don’t drink too much of it. Surely you can’t drink any alcohol when you quit sugar? Surely you can’t drink any alcohol when you quit sugar? It’s chockers full of the white stuff, right?! We have some good news for you – you absolutely can still enjoy a glass of wine at dinner. Or even a beer on the weekend. Because quitting sugar doesn’t mean quitting the things you enjoy! The trick is to drink in moderation, and pick the right ones. Here’s what you need to know. ✔️ Beer: While this beverage does contain a lot of sugar, it’s in the form of maltose (not fructose) which our bodies can metabolise just fine. Read more about our stance on fructose. ✔️ Spirits: Dry spirits like gin, vodka and whiskey are very low in fructose. ✔️ Wine: Believe it or not but wine contains very minimal amounts of fructose. See question two below. ❌ Champagne or “sparkling”: Though similar in the fermentation process of red and white wine (as mentioned above), Champagne does tend to retain quite a lot of the fructose from the grapes. Which is why we don’t think this is the best option. ❌ Dessert wine: A stack of sugar remains unfermented in these wines. Avoid! Red wine is lower in fructose than white wine and is definitely the better option in our opinion. Read our interview with Rosemount Estate to find out even more. Check out all the other things you are still allowed to do while on our Program. We originally published this post in February 2014. We updated it in July 2016. Soylent, the oddly named meal replacement with a niche following (particularly in the Valley) has announced its second product this morning: Soylent 2.0, which comes ready to drink in recyclable bottles. Each bottle represents one-fifth of a daily meal plan. Twelve bottles will sell for $29 when they go on sale in October; preorders go live today. Just like the original, it’ll only be sold online, at least for the moment. Soylent 2.0 will undoubtedly appeal to current Soylent users as a new grab-and-go option, but the company seems hopeful that this will also expand Soylent’s addressable base, perhaps among those who only want to use Soylent every once in a while to bridge a missed breakfast or lunch, or those who can’t be bothered with the mess and trouble of preparing it from powder. 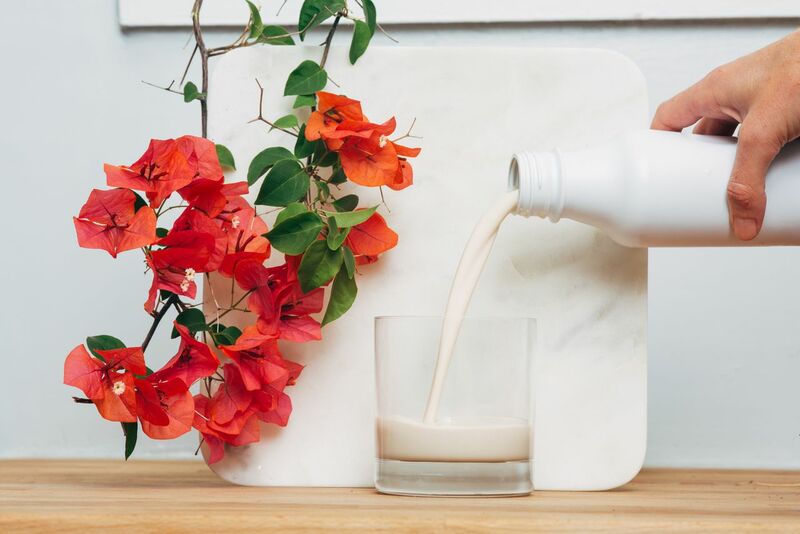 Soylent and the company behind it, Rosa Labs, are venture-backed with funding from Andreessen Horowitz and Lerer Ventures. Rhinehart says that they had shipped 6.25 million meals at their last count, which works out to around 1.56 million bags of the powdered product. Rhinehart also boasts of Soylent 2.0’s caloric bang-for-your-buck, but it’s actually neck-and-neck with Ensure, depending on how you look at it. Soylent works out to about $2.42 per 400-calorie bottle, or $12.08 to meet your entire day’s nutritional needs. Amazon will sell you 16 bottles of Ensure for $19.97 — $1.25 per bottle — but you’d have to drink nine of them to get 2,000 calories, and some of the nutritional requirements would still be out of whack, whereas Soylent 2.0 is designed so the numbers work out evenly. (Also, drinking nine of anything per day sounds horrible.) The pricing is surprisingly competitive with Soylent 1.5 — the bagged powder, which will continue as a separate product — at around $9.11 per day, if you buy it four weeks at a time in a subscription plan. The most interesting thing about 2.0, though, might be where the calories come from. For the first time, Rhinehart’s team is using algae in a significant way, incorporating algal oil for a full half of its fat content. Does that affect the flavor? “We did end up changing the formula a little bit,” Rhinehart says. He describes the taste as “somewhat recognizable” to current users, calling it “neutral, but still pleasant.” (The company has recently hired a flavor scientist, he notes.) He’s been hinting that he wants to use algae to make Soylent for quite some time, citing higher efficiency and the lack of need for traditional agriculture techniques; 2.0 is a start, but the powder will eventually be reformulated to incorporate it as well. If you’re always on-the-go, meal replacement shakes are practical. They get extra brownie points for being portable and convenient. Ideally, they would make an easy meal or snack when the other option is a hanger-induced run to the nearest drive-through, or even worse, just going hungry. Simply add water (or milk) and it’ll shush any loud, growling stomach. Then there’s the added advantage of taking the guesswork out of planning and preparing healthier meals; or in the case of Soylent, being a quick meal when just eating is simply a hassle. As part of a weight loss regimen, shakes can be helpful, if drinking it means you’re not eating junk calories elsewhere. So, if you swap out your typical breakfast of a blueberry muffin chased with a vanilla soy latte (a potential difference of 300-600 calories), then you’ll be eating fewer calories overall. Do this enough to be consistently in a calorie deficit, and you’re well on your way to weight loss! That’s all it is. There’s nothing magical about meal replacement shakes themselves for weight loss, except for the fact that they tend to have a thicker consistency, which helps suppress hunger. In shakes with a higher fat content like Soylent, the fat can help you feel fuller for longer because they leave the stomach more slowly. Overall, it’s still all a matter of controlling how many calories you eat though. If you’re drinking shakes in addition to staying on your regular eating habits, you can bet the scale will rebel against your wishes. However, that does mean these are perfect for people with the opposite problem who have trouble gaining weight. For these folks, they typically lack the appetite to eat the required amount of calories for weight gain, so shakes (and any additional source of calories, really) can be a no-fuss way to get more calories without making them feel too uncomfortable and bloated. Overall, meal replacement shakes like Shakeology have their place and can be useful for lifestyles that constantly call for quick and convenient meals, but they can quite literally come at a high cost. In reality, we could all use a reminder that meal replacement shakes are just like any other supplement: use them if you need the extra boost in calories in your day. Parents-to-be who consume too much caffeine during sensitive times of fetal development are at greater risk of a miscarriage, researchers from the National Institutes of Health and Ohio State University, Columbus, have found. Using data from the Longitudinal Investigation of Fertility and the Environment Study, NIH researchers compared lifestyle factors as cigarette use, caffeinated beverage consumption, and multivitamin use among 344 couples with a single pregnancy, from weeks before conception through the seventh week of pregnancy. They found that a woman is more likely to miscarry if she and her partner drank more than two caffeinated beverages a day during the weeks leading up to conception. If a woman drank more than two daily caffeinated beverages during the first seven weeks of pregnancy, she was also more likely to miscarry. Of the 344 pregnancies, 98 ended in miscarriage, or about 28 percent. Miscarriage was also linked to older mothers, over age 35, who experienced nearly twice the miscarriage risk of younger women. Researchers also found, however, a reduction in miscarriage risk for women who took a daily multivitamin. If the mother took a multivitamin during the preconception period, there was a 55 percent reduction in risk of pregnancy loss. If they continued to take it during early pregnancy, there was an even greater reduction. “For women, there was almost an 80 percent reduction in risk of miscarriage just by taking a multivitamin, if she took it daily while she was trying to become pregnant and in the first seven weeks of pregnancy,” Louis, the lead author, said, adding there was no association in men taking a multivitamin. The study authors said other research has shown that vitamin B6 and folic acid can reduce miscarriage risk as well as the chances of having a baby with a neural tube defect, a serious health complication. Is decaf worse than ordinary coffee? Decaffeinated coffee used to be the poorer choice but is now a better alternative thanks to companies using a different process to extract the caffeine. I’ve recently changed to decaffeinated coffee but someone told me it’s worse for you than ordinary coffee – is this true? Thanks Greg. Hi Greg. The answer to this question truly depends on the individual, their biochemistry and how sensitive they are to caffeine. Originally the process used to extract caffeine from the coffee used chemicals, which meant the decaffeinated coffee was essentially a poorer choice than caffeinated coffee. However, now more and more companies use a water extraction method, also known as the Swiss water extraction process, which is certainly a better alternative. However, green tea is a preferential choice as it contains many other health benefits including the calming effect of an amino acid l-theanine, and plenty of antioxidants. Be aware that green tea still contains some caffeine though. If you want a caffeine free milky drink, try roasted dandelion tea (available from the supermarket) and add your favourite frothed milk to it. That way you support liver detoxification pathways and can enjoy a lovely flavour. Hi Sarah. The human body makes two dominant stress hormones. They are adrenalin and cortisol. Cortisol is our chronic stress hormone. In other words, we tend to make too much of it when we are stressed for a long time. Historically, the only long-term stresses humans had were floods, famines and wars; all scenarios where food may have been scarce. Today, our long-term stress tends to come from relationship or financial worries, or health or weight concerns. However, because cortisol was designed to save your life when food was scarce, even though food may be abundant for you today, cortisol sends a message to every cell in your body that your metabolism needs to be slowed down so that those precious fat stores can keep you going until the food supply returns. Cortisol has a distinct fat deposition pattern. It lays fat down around your middle, on the back of your arms and you grow what I lovingly call a back verandah. Most people’s response to fat accumulation around their tummies is to go on a diet, which means eating less food. This only confirms to your body what cortisol has driven your body to believe is true, when in fact the opposite is true and food is likely to be abundant for you. When you restrict your food intake on your “diet” you slow your metabolism even further, making it feel like you only have to look at food for weight to go on. Stress is having a huge impact on our ability to lose weight and secondly, to keep it off, something I talk about in my book Accidentally Overweight. Email your questions for Dr Libby to [email protected]. Please note, only a selection of questions can be answered. Meanwhile, a protein shake might be between 80 to 180 calories, has a narrower spectrum of vitamins, offers more versatility in what you can do with it, and unsurprisingly, contains a lot more protein. Most meal replacement shakes are marketed as weight loss aids, but others, like Soylent, are meant to eliminate the very first-world problem of wasting time to prepare and chew your food. I agree with you that the Kool-Aid hype is strong in this one. There’s a lot of fanfare around Shakeology, and social proof is one of the most powerful biases to get people to believe something may be good, or at least worth trying.Shakeology seems reasonable at a glance: a serving of chocolate flavored Shakeology offers a respectable 17 grams of protein and 6 grams of fiber with an impressively long list of vitamins and healthy-sounding “superfood” ingredients. Sounds great, but now let’s put on our skeptic’s hats. In general, added vitamins tend to have a big, fat health halo. People may believe that just because vitamins have been added to a food, it’s nowsupposedly better for you (case in point: Vitamin Suga—I mean, Water) and it’s okay to have more of it. Don’t be fooled. In fact, if your diet is varied and balanced, mineral or vitamin supplements have no clear benefit, writes the editors of this article in the Annals of Internal Medicine. More importantly, shakes (whether they’re protein or meal replacement ones) aren’t regulated very closely by the U.S. Food and Drug Administration, so don’t expect the product to fulfill its promises on the label, or contain the ingredients it says it does either.I’m not picking on just Shakeology here. These apply to any plastic bottle full of hopes and dreams. One thing’s for sure, Shakeology has convenience going for it, but it’s expensive. If we do the math and break down the cost of a single container, it comes out to about $4.33 a serving. It doesn’t seem so absurd now. It’s about on par with a smoothie from Jamba Juice or a bottle of Protein Zone by Naked Juice, but still, there are more reasonably priced alternatives if you really, really want shakes. Tea of Coffee – which is best for you? George Orwell may have written that “tea is one of the mainstays of civilization in this country” – but even we British have to acknowledge that our national drink is facing stiff competition from the espressos, cappuccinos, and lattes invading our shores. Despite the dangers of wading into such a charged argument, BBC Future decided to weigh up the relative merits of each drink. There’s no accounting for taste, of course, but we have combed the scientific literature for their real, measurable effects on our body and mind. For many, the caffeine kick is the primary reason we choose either beverage; it’s the oil to our engines when we’re still feeling a bit creaky in the morning. Based purely on its composition, coffee should win hands down: a cup of tea has about half the dose (40 milligrams) of the stimulant caffeine that you would find in a standard cup of brewed filter coffee (80 to 115 milligrams). Yet this doesn’t necessarily reflect the jolt of the wake-up call. Dosing subjects with either tea or coffee, one (admittedly small) study found that both beverages left subjects feeling similarly alert later in the morning. Although that study was based on self-reported feelings of alertness, clear differences have failed to emerge in more objective measures of concentration, either – such as reaction times. Indeed, when you dose up on tea made to the equivalent strength as coffee, it actually proves to be more effective at sharpening the mind. The scientists conclude that the caffeine dose is not the whole story: perhaps our expectations also determine how alert we feel, or it could be that it’s the overall experience of the tastes, and smells, of our favourite drink that awakens our senses. Sleep qualityThe biggest differences between coffee and tea may emerge once your head hits the pillow. Comparing people drinking the same volume of tea or coffee over a single day, researchers at the University of Surrey in the UK confirmed that although both drinks lend similar benefits to your attention during the day, coffee drinkers tend to find it harder to drop off at night – perhaps because the higher caffeine content finally catches up with you. Tea drinkers, in contrast, had longer and more restful slumbers. Verdict: Tea offers many of the benefits of coffee, without the sleepless nights – a clear win. Tooth stainingAlong with red wine, coffee and tea are both known to turn our pearly whites a murky yellow and brown. But which is worse? Most dentists seem to agree that tea’s natural pigments are more likely to adhere to dental enamel than coffee’s – particularly if you use a mouthwash containing the common antiseptic chlorhexidine, which seems to attract and bind to the microscopic particles. In England, it’s common to give “tea and sympathy” to a distressed friend – the idea being that a cup of Earl Grey is medicine for troubled minds. In fact, there is some evidence that tea can soothe your nerves: regular tea drinkers do tend to show a calmer physiological response to unsettling situations (such as public speaking), compared to people drinking herbal infusions. Overall, people who drink three cups a day appear to have a 37% lower risk of depression than those who do not drink tea. Coffee doesn’t have the same reputation; indeed, some report that it makes them feel like their nerves are jangling. Yet there is some evidence that it too may protect against long-term mental health problems. A recent “meta-analysis” (summarising the results of studies involving more than 300,000 participants) found that each cup of coffee a day seems to reduce your risk of developing depression by around 8%. In contrast, other beverages (such as sweetened soft drinks) only increase your risk of developing mental health problems. We need to take such results with a pinch of salt: despite the scientists’ best efforts, in this kind of large epidemiological study it’s hard to rule out other factors that may be behind the link – but it could be that both drinks offer a cocktail of nutrients that dampen down stress responses and boost mood in the long-term. Verdict: Based on this limited evidence, it’s a draw. Similarly tantalising, though preliminary, epidemiological studies have suggested that both coffee and tea offer many other health-giving benefits. A few cups of either beverage a day appears to reduce your risk of diabetes, for instance. (The exact size of the benefit is still under discussion – estimates vary from around 5 to 40%.) Since even decaf coffee confers the same benefits, it seems likely that other nutrients may be oiling the metabolism so that it can still efficiently process blood glucose without becoming insensitive to insulin – the cause of diabetes. Both drinks also seem to moderately protect the heart, although the evidence seems to be slightly stronger for coffee, while tea also appears to be slightly protective against developing a range of cancers – perhaps because of its antioxidants. Overall verdict: Much as we Brits would have liked tea to come out the clear victor, we have to admit there is little between the two drinks besides personal taste. Based solely on the fact that it allows you to get a better night’s sleep, we declare tea the winner – but why not share your own thoughts with us through social media? Researchers have discovered that “habitual coffee drinkers” actually have less of a chance of developing coronary artery disease. COFFEE and tea drinkers can, and should, sip worry — free — regular caffeine consumption doesn’t cause heart palpitations, and likely has cardiovascular benefits, according to a new study. Researchers from the University of California San Francisco looked at 1,388 people who were taking part in a larger heart study, specifically 60 per cent of group who said drinking caffeinated drinks — coffee, tea and chocolate — were part of their daily routine. The researchers looked for heart irregularities — premature ventricular and atrial contractions — in the participants over a year, but found that there were no differences among the participants, average age 72, regardless of their caffeine intake. “In general, consuming caffeinated products every day is not associated with having increased … arrhythmia but cannot specify a particular amount per day,” lead researcher Dr. Gregory Marcus wrote in the Journal of the American Heart Association. Their findings go against the conventional clinical knowledge in the medical world that caffeine causes palpitations, which can lead to more chronic problems including heart failure or arrhythmias. In fact, they discovered that “habitual coffee drinkers” actually have less of a chance of developing coronary artery disease. “Recommendations advising against the regular consumption of caffeinated products to prevent disturbances of the heart’s cardiac rhythm should be reconsidered, as we may unnecessarily be discouraging consumption of items like chocolate, coffee and tea that might actually have cardiovascular benefits,” according to Marcus. The study didn’t look into the effects of powdered caffeine used in energy drinks, but the Food and Drug Administration in the US has warned against its potentially deadly side effects. Just one teaspoon of the powder is equivalent to the amount of caffeine in 28 regular cups of coffee. The study was funded by the UCSF Clinical and Translational Science Institute, The Joseph Drown Foundation, the National Institute of Neurological Disorders and Stroke, and the National Institute on Aging. The biggest differences between coffee and tea may emerge once your head hits the pillow. Along with red wine, coffee and tea are both known to turn our pearly whites a murky yellow and brown. But which is worse? Coffee, the beloved warm elixir known for it’s life giving properties. Were it not for this humble bean most of us would be walking around like brain dead zombies. The entire world has an ongoing love affair with coffee. It’s unique properties paired with a rich, comforting taste and the ability to jostle our brains to full consciousness is unparalleled. Trust me, I’ve tried it all, I’ve switched to matcha, yerba mate, guarana, green juices, roasted chicory root and black tea, green smoothies to start the day and nothing quite compares to coffee. Perhaps this is partially a societal construct deeply embedded in our subconscious. For as long as most of us have been alive coffee has been the staple breakfast beverage. 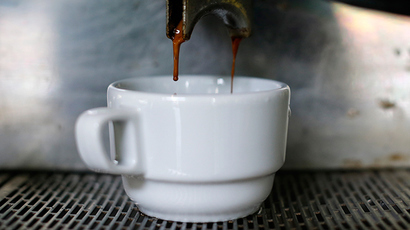 But is coffee actually good for our health? Or is it an addictive energy sucking, adrenal depleting substance we should stay away from? There’s been a hefty amount of research done on coffee, and most signs point to many beneficial characteristics. Important to note is that these studies didn’t include sugar and cream, or the standard Starbucks sugar laden mocha latte varieties. Not all coffee is created equal, from invisible mycotoxins clinging to conventional pre-roasted pre-ground varieties, to the importance of organic and fair trade, we aren’t at a loss for things to discuss when it comes to coffee. The origins of coffee are pretty funny. Were it not for an old shepherds goats getting high from eating the beans, we might never have known of these caffeine rich little red berries. Though there are stories of African tribes grinding the bright red coffee berry with fat and eating this combination for an energy rich snack. The history of roasting the coffee bean to extract its bitter black liquid is another entirely. It’s that time of year, spring cleaning doesn’t just apply to dust bunnies and rearranging furniture. Cleansing our bodies come spring is a rejuvenating practice that sets us up for more energy and more summer fun in the sun. There’s no better time of year to focus on rejuvenating the body and releasing stored toxins. And there’s no better way to do that than incorporating fresh, raw enzyme rich juices. As the seasons change it becomes easier to seek out locally grown, fresh fruits and vegetables. These delights don’t last long, so utilizing their nutritional prowess while they’re here is crucial. Stock up at your local farmers market, or better yet, grow your own. You’ll have a full kitchen arsenal for cleansing spring time juices in no time. For me, spring beckons action, the slumber of winter subsides and we’re left with a long to do list. It can be hard to summon the energy needed to complete all of springs pressing tasks. That’s why doing a gentle juice cleanse is so helpful, not just for increasing energy but also shedding some of the extra winter weight that’s been keeping us warm. A paleo diet guru who wrote a controversial cookbook with My Kitchen Rules judge Pete Evans has hit back at critics after it was revealed she performed voice-overs for junk food commercials. In a statement released on Tuesday, food blogger Charlotte Carr argued she never ‘personally’ endorsed the products she spruiked in advertisements for Cadbury, Coca Cola and KFC. The revelations came just weeks after publisher Pan MacMillan dumped her controversial cookbook, Bubba Yum Yum: The Paleo Way for New Mums, Babies and Toddlers, after public health experts expressed alarm over a DIY baby formula recipe in the book. ‘I am a working mother and like everyone else, will do everything I can to keep my family safe and nurtured,’ Ms Carr said today about her decision to do voice-overs for the junk food brands. Charlotte Carr has worked as a voice artist for a number of leading brands. Ms Carr said it was difficult to select individual voice-over roles because she worked as a freelancer and often received offers as a package deal. She said she was talking to her agent about choosing ‘roles that align more closely to my values’. Ms Carr, Mr Evans and nutritionist Helen Padarin are forging ahead with plans to independently publish their controversial cookbook in a digital format next month. The book has copped heavy criticism from dietitians and health authorities, with the president of the Public Health Association of Australia (PHAA), Heather Yeatman, quoted saying ‘a baby may die if this book goes ahead’. The PHAA said its DIY baby milk formula, which is based on liver and bone broth formula, contained excessive amounts of Vitamin A. In an interview about the book with the That Paleo Show podcast, Ms Carr said there had been a ‘censorship issue’ with the recipe. ‘I think we need to look at possibly where the comments have come from and who sponsors those organisations,’ she said. It’s a very, very big issue here. ‘It’s also a censorship issue, you know? This has been promoted and printed I know it’s well over 500,000 times because the (inaudible) manual has been printed that many times already. ‘Paleo Pete’ Evans has become one of Australia’s leading spruikers of the paleo diet. A spokesman for Pan Macmillan Australia would not comment on censorship claims. ‘The authors of Bubba Yum Yum – The Paleo Way – for new mums, babies and toddlers have decided to release a digital version of the book very shortly, and will, therefore, no longer publish the book, in any format, with Pan Macmillan Australia,’ he said in a statement. Public Health Association CEO Michael Moore told Daily Mail Australia the real issue was that specific diets discourage parents from breastfeeding. If adults want to use a paleo diet, even though it’s rated amongst the worst diets of the world, then so be it,’ he said. A Department of Health spokeswoman said authorities recommend that parents use commercial infant formulas if an infant is not breastfed. She said the paleo formula is also concerning because it contains one-tenth of the calcium of breast milk, 879 per cent the sodium of breast milk, and 168 per cent the selenium of breast milk. ‘These are important nutrients to get right in the diets of babies,’ the spokeswoman said. As a hard working mum to my beautiful baby boy Willow, and like most Australians, my family are my highest priority and will always be. I often have little control over the jobs that are contracted to me as a voice over artist, like so many freelancers in my field. I am frequently presented with a package rather than specific clients that I can pick and choose from. Over the years as I have become devoted to eating and living a specific way, due to the health concerns of my family, I have been working with my agent to choose roles that align more closely to my values. I have never “personally “endorsed any of these products since becoming a holistic health coach and baby food blogger. I am a working mother and like everyone else, will do everything I can to keep my family safe and nurtured. If Im telling you through advertising on television or radio to buy a certain car, or catch a certain airline, or use a certain toothbrush, I may not drive that certain car, or use that airline or use that toothbrush. I originally created this page out of love and kindness and to share my story so that any Mum in a similar position who has been told to put their child on a gluten free and dairy free diet would have a place to come to for inspiration and ideas. When you are told your child can not have these foods, sometimes its overwhelming and scary and you are unsure where to start. Its a lonely place. This is why I created Bubba Yum Yum. A place of fun beautiful, delicious yummy food. Is Broth The Next Super Food? It’s January and the New Year, New You diet stories are everywhere—and suddenly so is the topic of broth. While sipping broth as a way to get in shape may sound like a stretch given Americans’ fickle diet and snacking tendencies, the business of broth is heating up. The terms broth, bouillon and consommé are interchangeable, but the broth making news is bone broth or a rich, gelatinous stock made from boiling meat, fish and vegetables which results in a taste and flavor profile that is a far cry from its mass-produced cousins. Yet reality is, commercial prepackaged varieties (in cubes, boxes or cans, or in concentrated liquid form) are the most widely used and available. With convenience, however, comes a price: Prepackaged varieties get plenty of nutritional knocks for their sky-high sodium content (one Hormel HerbOx chicken bouillon cube has 1100 mg; the USDA recommends individuals get no more than 2300 mg/day) and flaccid flavor. Yet broth is a kitchen staple worldwide with Unilever Unilever’s Knorr and Nestle Nestle’s Maggi brands the industry leaders (numbers 8 and 6 respectively in a Kantar’s Worldpanel’s 2013 Brand Footprint ranking of the 50 most recognized brands), making the global seasoning market highly competitive (Africa, specifically Nigeria, and South America are hotspots). Maggi’s marketers have done an impressive job in positioning their products so that consumers in a variety of countries think it’s indigenous to their nation. National Public Radio has covered this story and it’s worth a listen. Bone broth’s newfound status as a diet and health elixir has legs, though, as 3 factors are in the food’s favor for growth in the coming year. 1. Consumers (Now) Love Science. The current broth boom is linked to the still popular Paleo diet, which lists broth as a staple. Despite it being around 40+ years, the diet recently was re-introduced to audiences by the self-described founder of the Paleo movement, Loren Cordain, PhD, who trademarked the name and has authored 5 Paleo books since 2011 of which millions of copies are in print. Paleo offshoots include a broth diet courtesy of television personality Dr. Oz in 2014 and the current Paleo mom-phenom Michelle Nam. As Paleo-themed books populate Amazon’s diet best seller rankings, Publisher’s Weekly reported that what bodes well for the broth obsessed is consumers’ interest in diets that are linked to science, real or imagined (Paleo, it should be noted, was number 34 out of 35 on US News 2015 Best Diets Rankings). Paleo books highlight its health benefits (for example, it’s supposedly an antidote for “leaky gut syndrome”) and include plenty of broth recipes purported to have nutritive powers, although no research to date has demonstrated that bone broth is superior to commercial. It’s worth a mention, however, that research has demonstrated eating soup prior to a meal is a proven way to cut calories.